In the past couple of years LA has been able to bring major and historic jazz talent to town through its university based performing arts centers and programming. This includes UCLA CAP, Cal State Northridge (Valley Performing Arts Center), CSLA (Luckman Performing Arts Center). 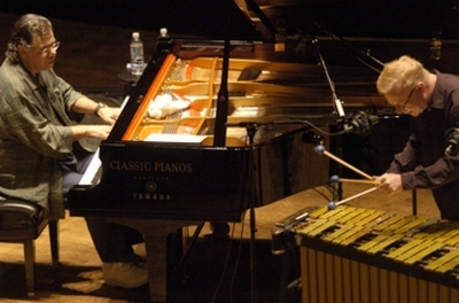 There are usually one or two world-class jazz concerts in LA every month at this time. Of course San Francisco is the dominant jazz and historic jazz presenter in California, and will be even moreso when its $35 million SFJAZZ showcase debuts on Martin Luther King’s birthday in January of 2013. As a visual artist and writer I feel it is part of my ongoing action as an artist to experience every one of the major art forms as much as possible. Greatness in any art form can lead to a new development in another. With that said, we are looking forward to the opening of the Wallis Annenberg Performing Arts Center in Beverly Hills, which should add even more depth and options to the serious music scene in LA. and envelopes that once defined this historic site – formed in copper-colored concrete panels. Ron Carter Quartet Visits L.A. Composer, pianist and jazz legend Ramsey Lewis has been referred to as “the great performer,” a title reflecting his performance style and musical selections, which display his early gospel playing and classical training along with his love of jazz and other musical forms. “What keeps me enthusiastic and energizes me is the realization that the more I learn, the more I find there is to know,” Lewis says. The enthusiasm of the 76-year-old jazz artist is contagious during his performance at CSUN. “The first time I saw Ramsey Lewis perform, it was in late June 1966. Right after my senior prom, my date and another couple headed for a restaurant on Chicago’s near north side where he was performing. His group was known as the Ramsey Lewis Trio and his big hit was The In Crowd, a number that simultaneously made him a star and exposed a new generation to the marvels of jazz. This was jazz with rhythm, infused a little by Lewis’ classical training and a lot with the bouncy drive of pop rock. The baby boomers who made up the lion’s share of the audience Saturday night at CSUN’s Valley Performing Arts Center were rewarded with another rendition of that jazz classic, though they had to wait until Lewis’ second encore to hear it. In this case, though, the wait was every bit as enjoyable as the reward. Lewis is 45 years older than when I first saw him but the joy that was evident on that balmy night in June was equally evident on this nippy Saturday night in Northridge. Dapper and fit, he continues to relish every note he plays and every sound that comes from the other members of his five-man electric band. At one point, during a drum solo by Charles Heath, Lewis actually rose from the piano bench and joined bass player Joshua Ramos and guitarist Henry Johnson as they stood to the side, looking on approvingly. There is a timeless quality about Lewis, whether he is playing a mellow John Coltrane medley or dedicating another medley to pop star Whitney Houston, who died just hours earlier in a Beverly Hills hotel. Lewis opened his 80-minute set by accompanying Nnenna Freelon, who had already charmed the audience with her stylized interpretations of such standards as You and the Night and the Music and Smile. Justly praised for her gift for interpreting lyrics, Freelon gave fresh meaning to songs as varied as Carol King’s Will You Still Love Me Tomorrow and the bluesy You’ve Changed, a much-covered number often associated with Billie Holiday. Clad in a burgundy-colored velvet gown, Freelon accented her smooth sound with swaying motions and gentle arm waving reminiscent of a hula dancer. Her voice, silky and almost sultry, would have been at home in an intimate night club but lost none of its appeal in the larger and more formal main theater. She concluded her set by introducing Lewis and singing Please Don’t Talk About Me When I’m Gone to his accompaniment on piano. That led to Lewis’ opening number, a longtime favorite, Brazilica. That, in turn, served notice that the time for irresistible toe-tapping jazz by this three-time Grammy winner had arrived. Sonny Rollins burst onto the jazz scene in the 1950s under the mentorship of masters such as Thelonious Monk and Charlie Parker. Since then he has been a master in his own right. A Kennedy Center National Medal of Arts recipient, Grammy Award-winner, jazz educator and winner of countless other awards—even as he moves into his 80s—Sonny Rollins continues to push the boundaries of jazz, using his trademark saxophone to carve new trails. Bebop still swings when Sonny Rollins performs! For the past 12 years The Bad Plus— bassist Reid Anderson, pianist Ethan Iverson, and drummer David King–have created an uncompromising body of work by shattering musical convention. Rolling Stone called their amalgam of jazz, pop, rock and avant-garde “about as badass as highbrow gets,” while The New York Times said the band is “better than anyone at mixing the sensibilities of post-’60s jazz and indie rock.” Few groups have amassed such acclaim, and few have generated as much controversy while audaciously bucking trends. Joining the trio is brilliant composer and inimitable saxman Joshua Redman. While the bulk of the output from The Bad Plus has been originals, they have famously deconstructed covers in the pop, rock, electronic and classical idioms. Their belief in a band ethos and “avant-garde populism” has placed them at the forefront of a new instrumental music movement, resulting in ever-larger audiences. Saxophonist Joshua Redman is the one of the most acclaimed and charismatic jazz artists to have emerged in the ‘90s and has established himself as one of its most consistent and successful bandleaders. When Joshua joins The Bad Plus as a special guest, his additional melodic prowess pushes boundaries even further in this very special engagement. Jazz pianist and composer Brad Mehldau has recorded and performed extensively since the early ‘90s as sideman and bandleader—with everyone from Pat Metheny and Wayne Shorter to Renée Fleming and John Mayer. With bassist Larry Grenadier and drummer Jeff Ballard, Brad’s brilliant improvisatory outbursts underscore his structured musical language. Brad Mehldau Trio will release Where Do You Start from Nonesuch Records on September 18. 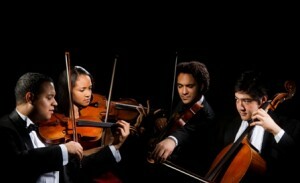 The album is a companion piece to the trio’s critically acclaimed Ode, released this spring. 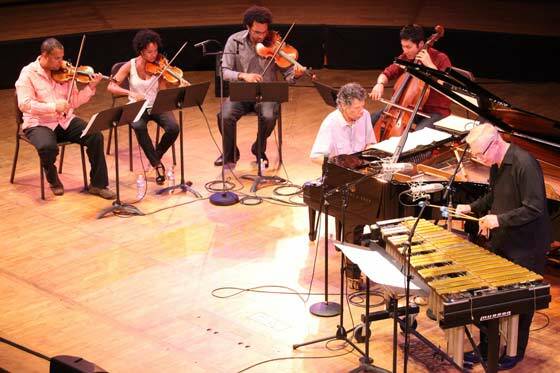 While Ode featured 11 original songs composed by Mehldau, Where Do You Start features the Trio’s interpretations of ten tunes by other composers, along with one new Mehldau song.